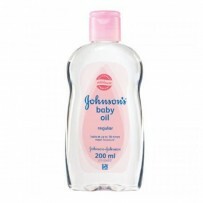 Jhonson Baby Cream Pink (Thai) 100G Johnson's Baby Cream is enriched with a blend of essential emollients to help keep your baby's skin feeling softer, longer. Clinically proven mild. Allergy Tested. Rich, creamy formula. Unmistakable baby-fresh scent.